There are times when the electrical activities of our brain are disrupted which can lead to grand mal seizures also known as generalized tonic-clonic seizures. It affects the entire body as it involves contraction of the muscles, rigidity of the muscles and loss of consciousness. It may occur more than once to a person. It will be followed by a loss of consciousness and the muscular contractions, and this is known as the tonic phase. After the tonic phase, it is followed by rhythmic muscle spasms, also known as the clonic phase. This seizure usually lasts for several minutes. Grand mal seizures that often recur should be treated immediately. Seizures can pose a high risk of injury to a person. 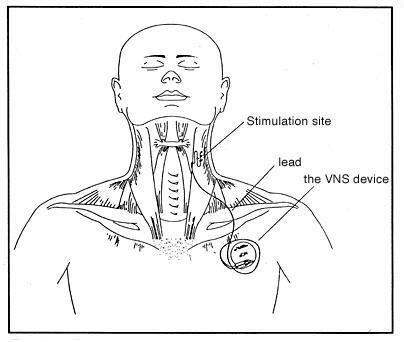 One of the medically accepted treatments for grand mal seizures today is the vagus nerve stimulation. This is usually done when medication therapy and other non-surgical interventions have not been effective. The surgery involves the production of quick and small bursts of electrical energy to the brain. In order to accomplish the goal of the surgery, medical devices are used. A device that is somewhat like a pacemaker is attached surgically into the chest. There are wires from the device that leads to vagus nerve which is located at the base of the brain. The device is small and thin but it is powerful enough to recognize if the brain is having unusual or irregular electrical activities. Once it has recognized this, it immediately sends impulses in order to normalize the electrical currents of the brain. Take a look at this short howcast video to help you understand what vagus stimulator does. bulge in the area under your collarbone, where the device was placed. You can notice some small scars around your neck where the wire lead was put and also on your chest where the device was inserted. When vagus nerve stimulation is done in children with seizures, some children can show increased hyperactivity. The most beneficial and best way you can help your self get ready and live with tonic clonic/grand mal seizures is simply by reading and understanding much more about them. So check out more articles on our grand mal seizures site.